My workouts have changed over time. When I was in College, it was all about lifting heavy weights and building as much muscle as I could. As we get older things like time, energy and recovering from injury become more and more of a factor. Sooner or later those nagging little pains add up, hey “No pain no gain?” Right! When I work out in a fully stocked gym, I usually do the standards, Bench Press, Lat-Pull Down, Military Press, Squats and Leg Curls, Bicep Curls and Tricep Pushdowns. Let’s look close at the Bench Press – This is one of the classic, go heavy or go home moves the younger me would chase. I would try to lift 225 Pounds – Ten Times. This would give you a total Lift of 2250 Pounds right 225 Times 10. Now the funny thing about the bench Press, I could do 135 Pounds close to Thirty Times. This would be total lift of 4050 pounds, this is close to double the total weight. Now don’t kid yourself, lifting 135 pounds 30 times does not feel the same as 225 pounds 10 times. The heavier you go the stronger you will get and the more muscle you will build, and the more you increase your chance of getting hurt. Now fast forward a few years, now a days I would much rather lift 135 Pounds 30 times, but I can’t do that while I am power walking. No, when I walk I carry 5 pound, 3 pound or 1 pound soft weights. I do not Bench Press, I Shadow Box in a similar motion. Now I may do 500 to 1000 reps of 5 pounds; or 2000 or 3000 reps of 3 pounds. This gives me total workouts of 2500, 5000, 6000 and 9000 pounds. I am not trying to tell you these workouts feel the same as working out in a gym with hundreds of pounds of weights. Not every close. But if you continue to push and push you can burn you muscle out and be very sore the next day. It is not the same pain, it is a different kind of pain; different pain, different gain. Why I used to work out in the fully blown gyms, people called higher repetition sets, get cut. This is kind of true and kind of false. Muscle definition is a combination of working out and watching your diet. Now, you can get muscle definition and muscle size by doing lots and lots of low weight high repetition sets. Still have to watch the diet though. Now, I have posted that I use 5 Pound and 2.5 Pound Ankle Weights. I shoot for 5000 Steps while wearing the ankle weights. This would mean 25000 pounds of extra pounds lifting while power walking. That does not mean I can go in the gym and leg press 500 pounds, no I would probably lift 100 pounds as many times as I could. Again, Lighter weights and higher weights is a safer workout. I used to have a workout called the century sets, 100 repetition sets of light weights, 10, 15, 20 pound dumbbells or 50 pound barbells. Chasing the heaviest weights possible is a young man’s game. Avoiding injury and recovering from nagging aches and pains is a not so young man’s game. Fitness for life! So when you combine 5000 steps and 1000 lifts into a single power walk workout I may do a total lifting workout in the neighborhood of 30,000 to 50,000 pounds. Hundreds if not thousands of reps with light soft weights; maybe it is not impressive by the bodybuilder workout magazine standards, but I know how much it hurts the next day. Total Body Pain equals Total Fitness Gain. Life is a marathon in my case, and I want to be renewed like the eagles every day. That is the promise I am chasing. To be well kept into my golden years. There is no shame in my game. I run through sets of 20 curls, overhead lifts and shadow box punches with 5 or 3 pounds weights while walking 5000 or more steps with 5 pound or 2.5 pound ankle weights; the less weight, the more reps. I go until I can’t go anymore. Do I lose count of how many times I lift? Yes, I just work through the progressions. Do I lose count of how many steps I take? No, that is what my iFit is for! When I work out in a fully stocked gym, I usually do the standards, Bench Press, Lat-Pull Down, Military Press, Squats and Leg Curls, Bicep Curls and Tricep Pushdowns. 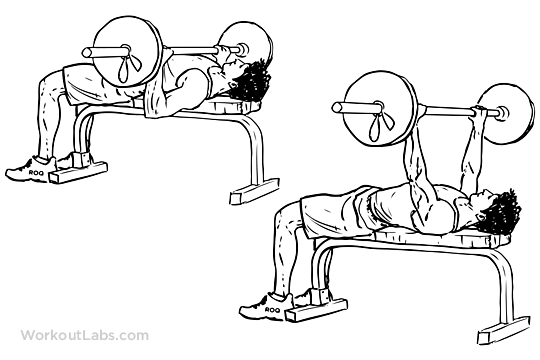 Let’s look close at the Bench Press – This is one of the classic, go heavy or go home moves the younger me would chase. I would try to lift 225 Pounds – Ten Times. This would give you a total Lift of 2250 Pounds right? 225 Times 10. Now the funny thing about the bench Press, I could do 135 Pounds close to Thirty Times. This would be total lift of 4050 pounds, this is close to double the total weight. Now don’t kid yourself, lifting 135 pounds 30 times does not feel the same as 225 pounds 10 times. The heavier you go the stronger you will get and the more muscle you will build, and the more you increase your chance of getting hurt. Now fast forward a few years, now a days I would much rather lift 135 Pounds 30 times, but I can’t do that while I am power walking. No, when I walk I carry 5 pound, 3 pound or 1 pound soft weights. 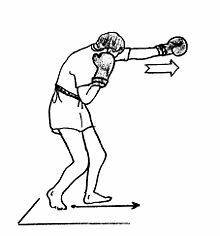 I do not Bench Press, I Shadow Box in a similar motion. Now I may do 500 to 1000 reps of 5 pounds; or 2000 or 3000 reps of 3 pounds. This gives me total workouts of 2500, 5000, 6000 and 9000 pounds. I am not trying to tell you these workouts feel the same as working out in a gym with hundreds of pounds of weights. Not even close. But if you continue to push and push you can burn your muscle out and be very sore the next day. It is not the same pain, it is a different kind of pain; different pain, different gain. When I used to work out in the fully blown gyms, people called higher repetition sets, getting cut. This is kind of true and kind of false. Muscle definition is a combination of working out and watching your diet. You can get muscle definition and muscle size by doing lots and lots of low weight high repetition sets. Still have to watch the diet though. Now, I have posted that I use 5 Pound and 2.5 Pound Ankle Weights. I shoot for 5000 Steps while wearing the ankle weights. This would mean 25000 pounds of extra pounds lifting while power walking. That does not mean I can go in the gym and leg press 500 pounds, no I would probably lift 100 pounds as many times as I could. Again, Lighter Weights and Higher Reps is a safer workout. I used to have a workout called the century sets, 100 repetition sets of light weights, 10, 15, 20 pound dumbbells or 50 pound barbells. Chasing the heaviest weights possible is a young man’s game. Avoiding injury and recovering from nagging aches and pains is a not so young man’s game. Fitness for life! Thank you for seeing past my typos. I do not have a proof reader or an editor. I just blog my thoughts, save them as drafts and sometimes I come back and re-read them before publishing them. My intention is to create a steady stream of positive observations and provide the kind of advice that I can live by. I hope to be able to motivate people to chase their dreams. I told myself that if I only motivated one person it would be enough; even if that one person was only me. So here I am three years later, still making typos. Still catching some of them when I spell check, catching some when I proof read my drafts and hit “Publish:” and catching some after they have been published and I look back on them even years later. But it is not the typos or the amount of views and reposts and forwards, it is then intention: Get up and chase your dreams and learn by doing and get around people you can trust who are heading in the same direction that you want to go. That is what keeps me typing, that is what keeps me posting, that is what keeps me learning about myself by examining my thoughts and observations. So I am not rich or famous but I have been viewed in over 100 countries around the world. I have a bunch of posts that have crossed the magic 100 view-point, I have found that some post have be viewed over a 1000 times and some of my favorite post have one been viewed once, (that was probably me looking at my own post) But if just one person finds some inspiration then it is all worth it. Thanks again for seeing what I mean to say even if I am not so effective and elegant at saying it. Maybe my vocabulary is not as large as some other bloggers. Maybe my Social Media Reach is not as vast, but I am still here plugging away. No money comes in from this site, no charge to view it either. You know what they say about free advice anyway. So my only reward is to try to give the advice that I try to live. That is the only real reward anyway; to be true to your-self, so I have to be true to myself. So thank you again. I cannot say thank you enough. I have probably learned more than I have taught, but I try to speak from the heart. If I have wronged you or offended you I am sorry. If I can help make the world a better place, then this was all worth it. So get out there and chases your dreams, but do your homework, look before you leap and learn from your mistakes. One day it will all make sense, one day this blog will be polished to near perfection. Until then thank you for seeing my intention. Posted in: Truth	| Tagged: All, By, doing, for, intention, Learn, My, Past, Seeing, Thank, Typos, You. Learn through Listening and Lead through Learning. Welcome to 60 Seconds of Motivational Mojo. I am trying to spread a positive message that we can all still learn to chase our dreams. I am here to spread a message that we can all make a difference. The best way for us to make that difference is to find common ground and help build a system where everyone can share in the benefits. The best way to make a difference is to unleash the Leader that is inside of you. The best way to unleash that Leader is to learn to listen and learn to lead. In the past year, I have learned the power and importance of active listening. If you have read a few of my posts, you may know that I am a musician at heart. I have spent more than half of my life making music and entertaining people. I play the Drums and I play Bass Guitar in a Praise Band. I am not ashamed to admit it. Most of the times I end up playing the Drums because I am the only Drummer that shows up on a consistent basis; I would rather play the Bass Guitar, but I have also learned that you can have more influence if you are willing to do what is needed the most. If you are willing to show others that you will put the good of the group in front of your personal aspiration, the people in the group will respect you more. There was a time that I played the Bass Guitar without a Drummer playing in the group and it just did not sound right, it did not sound correct. I learned that I was making a bigger impact filling in on the Drums whenever we needed a Drummer than playing the Bass Guitar, the instrument I would rather play. My Submission, My Commitment and Servitude to the group has helped me in my quest to help the group grow and give it direction. People can see I am willing to do what is needed most (play the drums) rather than what I would like to do most (play the Bass Guitar) for the good of the group. When I play the Drums, I have learned to listen very closely to the music and provide a solid foundation and accent what is being sung and what is being played by everyone else. I have learned to provide a steady beat and make space for others to shine through and accent what they are doing. I have learned that sometimes a Leader let’s others take the Lead and provides support for them. I have learned because I listen to what others are playing and not just expect them to follow what I am playing. I have learned to become a better leader by becoming a better listener. When I play the Bass Guitar, I have to listen very closely to the Drums and Accent the Beat while also providing the Foundation of what the Guitar and Keyboards are playing. Lots of times I do not have an amp or any stage monitor when I play the Bass. I have to hear what is coming from the Main Sound System. This means I am one of the last person to hear what I am playing on the Bass. I have to listen more actively and more closely than ever when I get a chance to play the Bass Guitar. I also have to think and prepare to play whatever is needed most. Most weeks it is the Drums, Some weeks it is the Bass; I have to be ready to do both. Some people think a Leader should be better at everything than everyone else. That is not true. In my opinion a Leader gives others a chance to shine and supports them the best way they can. I have learned by being ready to do whatever I am called to do is the best thing for the group. Because the rest of the group knows I am willing to sacrifice for the good of the group, they listen and appreciate the suggestions I make. They also listen to music I have been sharing with them. More and more of the songs we are playing are on CD’s I have shared with others in the group. By playing the Drums and Playing the Bass, by showing I am actively listening; I have learned to become a better Leader. I have also been trying to teach others, basic lessons for people who say they want to learn the drums. I have been showing basic exercises for Guitar and Bass Players to improve their skills. I also must challenge myself to keep improving and keep getting better; to be ready to do whatever I am called to do. I have learned to become a better listener; and while being a better listener I am learning to become a better leader! You can do the same. You can learn by listening to those around you; and you can lead by showing them you are listening to and meeting their needs. Learn to lead through active listening! Learn through listening and lead through learning. I am just an average guy trying to do above average things. I am trying to learn how to become a Motivational Guru. I have had some hits, and I have had plenty of misses. I am just trying to stay in the game until my hits add up to a quantifiable amount. If I can connect with people one person at a time I am happy. I try to blog what I believe. I think it is important to do the things you love and to stay in the game: It is what I am trying to do. I have been blogging for over year now. No book deal. No television interviews. No movie deal. It is just me and a bunch of posts that seem to go around and around about Leadership, Motivation, Teamwork and Chasing your dreams. The most important thing is that I am trying to write about what I believe and then live those things. I am trying to follow the best advice I can find, and then I blog about it. I try to put it in my own words; I try to find my own voice. I believe there will always be a new sunrise: Remember all the doom and gloom about the year 2012. I guess it is not a big deal any more. Why do we scare so easy? Who am I? I am the guy who believes things will be all right if we make them all right. I think you have to get involved. I believe if something is important to you then you will be the pull it out of the fire kind of person. Otherwise you will just blame it on someone else. Who am I? I have my share of problems like everyone else. I try to plan, but you know things happen: So you plan and then you have to change your plans. You have to change your short-term plans, but those dreams, I think they never die. You have to keep them in sight. I don’t think your dreams die, they fade; and then you wake up one day and wonder what happened? So we need to keep doing the best we can. I have the same goals as when I started. I keep plugging away. I am not the same guy I was then, but I am the same guy just different. Maybe I am getting better, maybe I am getting worse. Maybe I am just looking back with melancholy. I am just learning by doing, the same thing I would like you to do. Get up and try, and look back at what you have done and say I have tried, now what can I do better? Don’t get frustrated and don’t give up. Just try. If you are doing things you like to do, you will find happiness. If you are chasing money you will find disappointment. So I look back and I find mistakes here and there and try to get better. There is not a lot I can do other than keep trying. This blog will do what it was meant to do: Who am I? I am some guy looking back at what I have done, trying to get better at what I do. I am some guy trying to get you to do the same thing. Learn by doing and then learn from your doing. Get up and chase your dreams. OK, today I give you a free pass. Just give up. Are you going through hard times? Do you need a break? Just give up. I only have one question; what good will that do? You say you need a break. I get it. You say you work hard and you aren’t getting anywhere. I get it. Just give up. See today is reverse psychology day here at 60 Seconds of Motivational Mojo. Today I will say it is OK to just give up. Again, I ask you what you stand to gain by giving up? Do you really think you will live your dream because you give up? Do you think you will hit the lottery? Maybe you will, but really; what are your odds? If you give up, you can’t complain about how your life turns out. Just give up. Do you really believe you will get anything other than the crumbs when you give up? Just give up and be happy. It is easier, why sweat it out and try to actually make a name for yourself? See I am giving you the OK to give up, but I am not giving up. I am still trying to make a name for myself. Listen, if you are really quiet when you give up; maybe no one will even notice. If you can live with yourself knowing that you have given up on your dreams, I can live with it also. Now for those of you who have continued to read this, I will be back in a couple of days with another post. I am not giving up. I am just trying it from the other side today. I used to sit around thinking everything was a scam. I use to be mad at the world. I try to be as positive as I can, but sometimes I run out of steam. The people closest to me see me at my worst moments. Those are the people I am sorry too, and those are the people who I answer too. But hey, I understand; chasing your dreams is a hard thing to do. So just give up. Today is the day you have been waiting for me to say it. See the funny thing about your dream is it is your dream. Not everyone will agree with you, and no one can do it for you. Yes, people who agree with you might help you; some might not. Some people who agree with you may be jealous of you, or may be protecting their own dream. Some people who agree with you, might just help you; but since they are hard to find, you might as well just give up. See, if you are lucky; maybe 1 out of 100 people you run across might help you chase your dreams. Those odds are pretty bad aren’t they? It’s OK today to just give up. It won’t be OK tomorrow. I don’t know if you were told it will be easy, I never said that did I? No I said it will be worth it. Now sometimes people make things complicated when they are not. The steps are simple, but they may not be easy. You may have to swallow your pride or face your fears; again not easy, but simple. You will have to get around people who are headed in the same direction you are headed, and you might have to fight to keep up. Again, this is not easy but simple. Some people may help you and some might work against you, you may need to pick a mentor to coach you. This is simple to say, harder to do. You may need to accept coaching and you may need to coach others. You will have to work as a team, but if this is too much to ask; just give up. So today is the day I will say, just give up. Tomorrow I will say chase your dreams. Today I will say, just give up. Tomorrow I will say get around people who agree with you and learn from them. Today I will say, just give up. Tomorrow I will say find a mentor and accept coaching and then mentor others. I hope that you don’t listen to me today. I hope you will listen to me tomorrow, or the next day, or the next day. I hope you will listen to me when I say chase your dreams. Today I hope you ignore me. Today I say, just give up. Posted in: Motivation, Truth	| Tagged: By, do, give, Giving, Just, stand, To Gain, Up, What, You.